Workers exposed to carbon monoxide overnight at San Jose International Airport. Kris Sanchez reports. Two workers at Mineta San Jose International Airport are recovering Thursday from exposure to carbon monoxide. 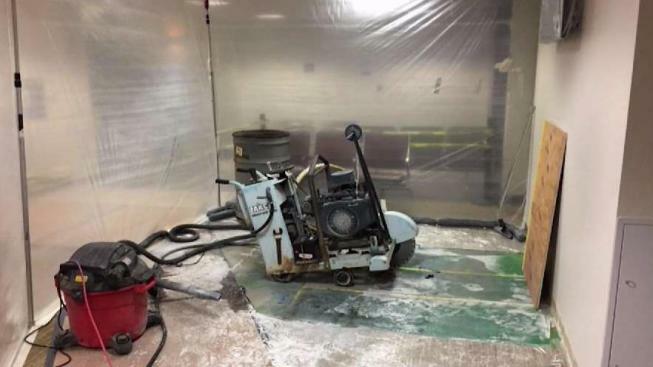 The pair was using a gas-powered saw in an "interior, lower-level area" of Terminal A, which is far from the boarding gates, airport spokeswoman Rosemary Barnes wrote in a news release. They reported headaches, shortness of breath and lightheadedness and were taken to an area hospital as a precaution around 2:10 a.m. The men are expected to be OK, she said. The incident occurred when the terminal, used by Jet Blue, Air Canada, American, Delta, United and other airlines, was closed. Passengers will be unaffected, according to Barnes.